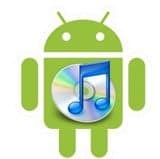 If you have purchased some movies from iTunes store and want to play them on your Android tablet, you may run into the problem: the iTunes movies cannot play on the Android tablet. Well, as we know, movies, videos, TV shows, etc. bought from iTunes are protected with the DRM technology. Apple’s DRM restrictions prevent you from playing its videos on non-Apple players. If you want to watch iTunes purchased movies on Android tablet, you need to do remove the DRM protections from iTunes videos and then convert the iTunes M4V videos to Android friendly MP4..
To make it simple, you can check our Best DRM Removal list, we highly recommend Aimersoft DRM Media Converter which is a highly-praised DRM remover and video converter which can strip DRM from iTunes movies and convert them to Android highly compatible MP4 and other popular video formats, such as WMV, AVI, MOV, MKV, ASF and FLV. Apart from iTunes, it can also remove DRM from movies and music bought from Amazon, Blockbuster, BBC iPlayer, Rhapsody, etc.